White Chocolate Blondies – Bake With Me! 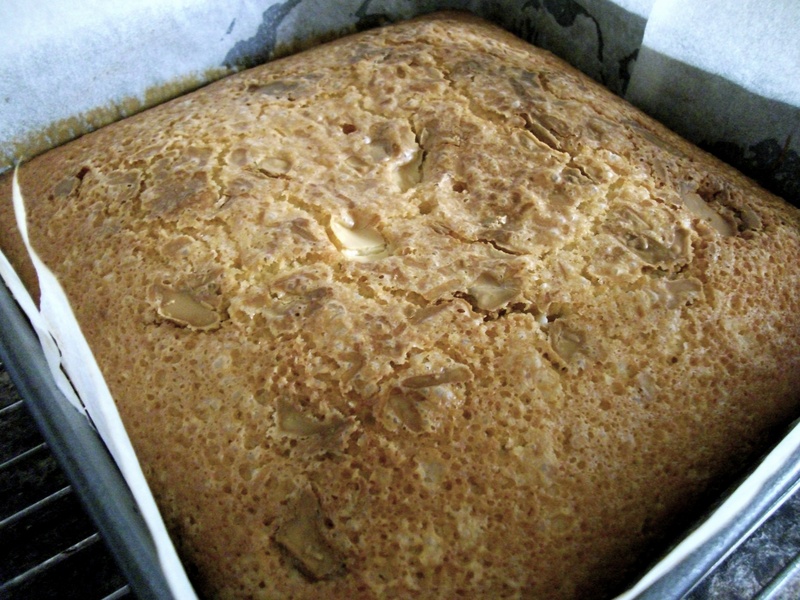 Recently I’ve seen lots of recipes across the blogging world for blondies. I must admit, prior to seeing these posts, I had never heard of a blondie! From what I can tell, a blondie simply is a brownie but without the chocolate. It really makes sense when you think about it! Anyway these were really yummy and a nice change to your usual chocolate brownie. However, the only thing that disappointed me was that the white chocolate sank to the bottom of the brownie so I didn’t get the perfect brownie with the chocolate evenly dispersed as I had imagine. Nevertheless, from my research, a tip is to supposedly dust the chocolate in flour before you add it to the cake batter. 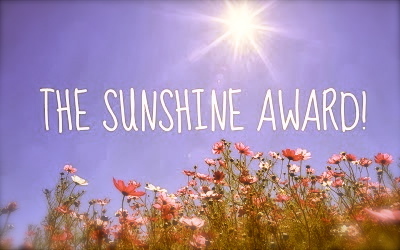 Perhaps keep that in mind! 1. Preheat the oven to gas mark 4. Grease and line, ideally a 20cm baking tin. 2. 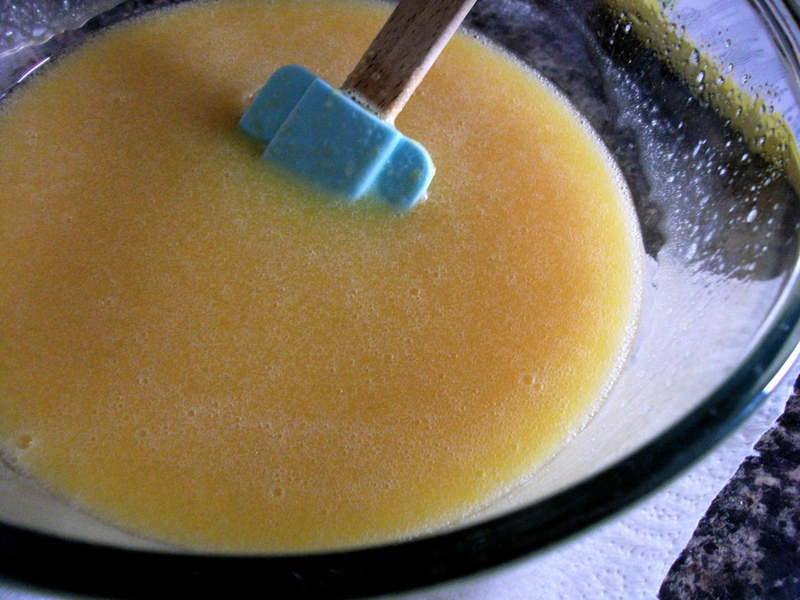 Beat together the sugar and eggs until pale. 3. 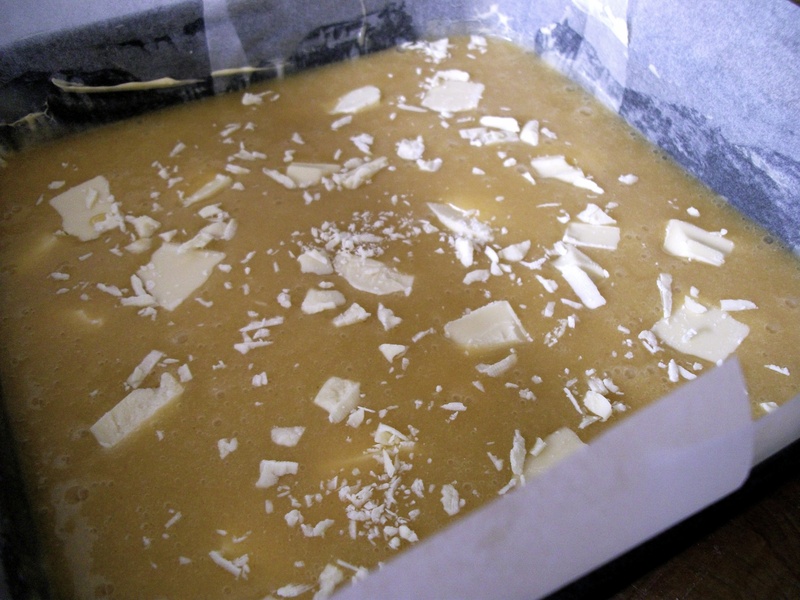 Melt the butter and gradually add to the sugar and eggs a little at a time. 4. 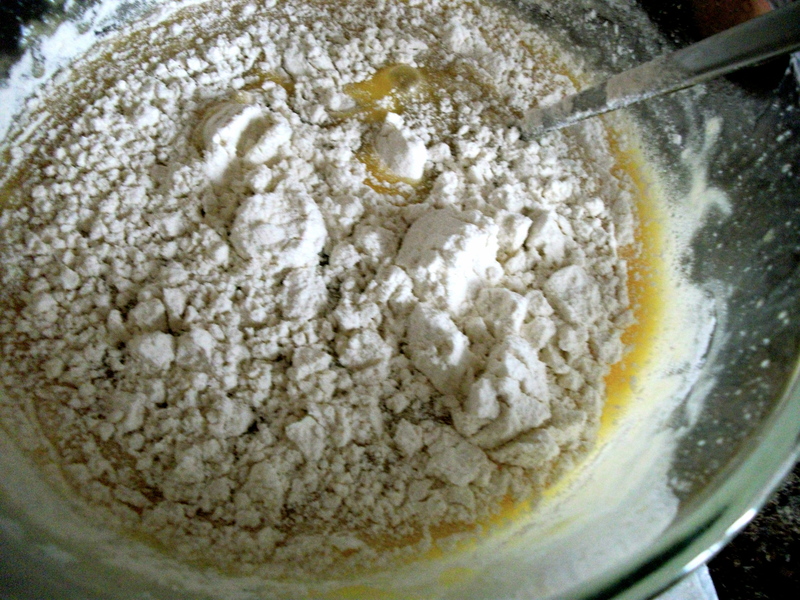 Sift in the flour and fold with a metal spoon. 5. 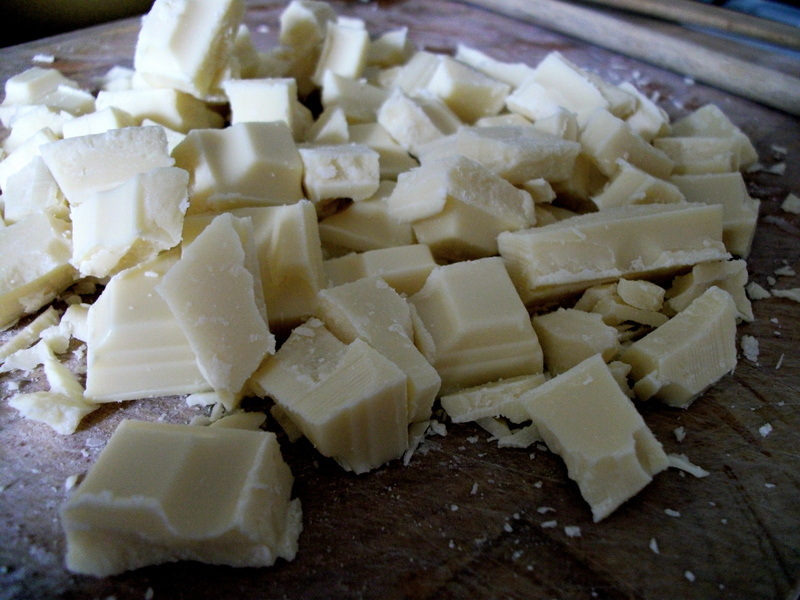 Chop up the chocolate and carefully fold into the batter. 6. Pour into the tin making sure the chocolate is evenly distributed. (I saved a little chocolate back to add on top once the batter was in the tin) Bake in the centre of the oven for 35 to 40 minutes until a skewer comes out clean. 7. Leave to cool in the tin before removing. Cut into squares and dust with a little icing sugar. I think it’ll mix in more evenly if you melt the chocolate first. 🙂 These look good! Ooh I hadn’t thought of that! I may try that next time – thank you! The dusting should work, I know my granny SWORE by dusting the glacé cherries and raisins for fruitcake, and she was a prize-winning baker! Thanks as well for your definition of a blondie, I too have seen lots of recipes for them recently but never realised they were the “white” version of brownies! 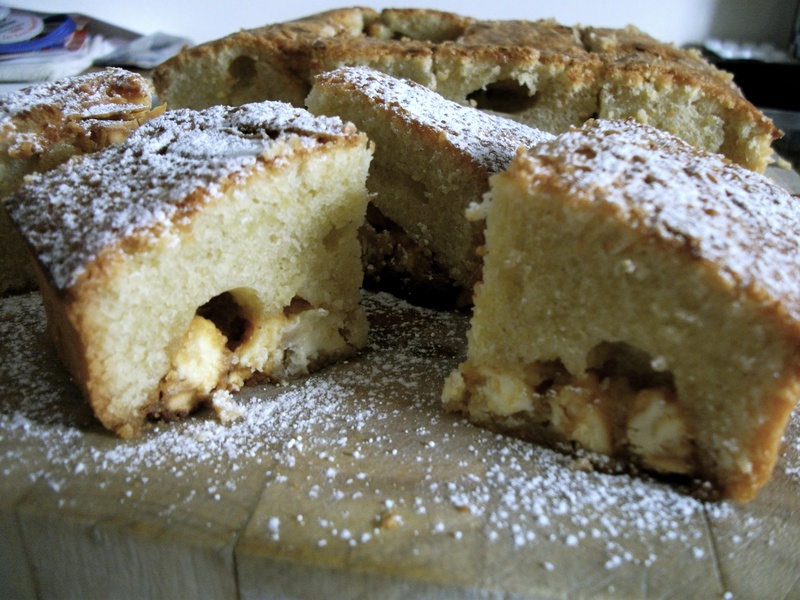 Pingback: Sweet Pear Sponge | Bake With Me!